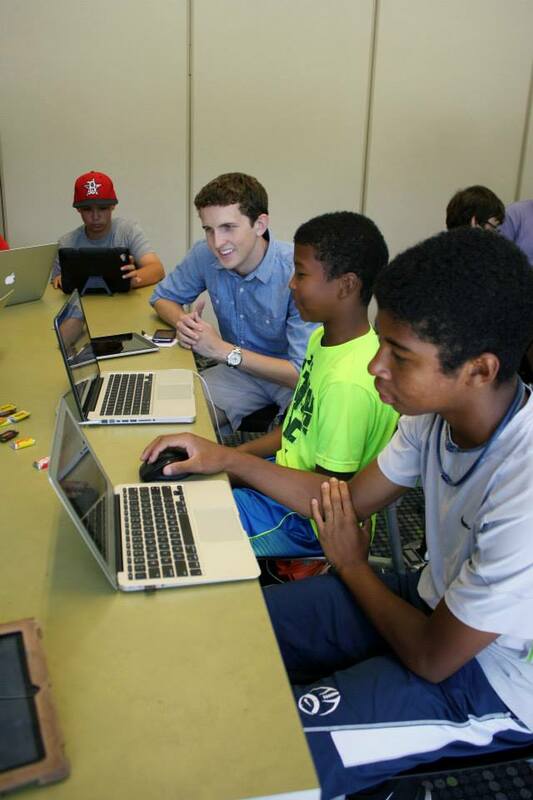 This year Taylor Christensen will lead Austin’s third WP Kids Camp as part of our WP BootCamp Austin on October 17th. The day includes workshop-style classes, learning sessions and time to work on their new WordPress site. Working laptop with the ability to connect to wifiUsername and password to an active account on wordpress.com.See: https://wordpress.org/support/register.php for how to sign up for a user name and password. We are thrilled to announce that WP BootCamp Austin will be hosted by The For The City Center, a place for partnering nonprofits and other Austin-area organizations to reside, share meeting space, and join hands in the effort to maximize each others’ work toward city renewal. The For The City Center is located at 500 East Saint Johns Avenue, Austin, TX 78752. Click here for a map. The 2015 WP Boot Camp will be held Oct 17th at the For The City Center, 500 E St Johns Ave, Austin, TX 78752. This facility has been designed to host events like ours. It features a state-of-the-art auditorium for our plenary sessions and comfortable, technology enhanced classrooms for breakout sessions and workshops. The venue is ADA Compliant and service dogs are welcome. It is conveniently located on a public transit line, and offers easily accessible, free parking. The facility is also home to the Vessel Coworking space. Both Vessel Coworking and For The City Center have stepped up as Venue Sponsors. Their board members have donated this wonderful space to 2015 WP Boot Camp to support the Happy Joe mission of offering veterans an introduction to the opportunities in web technologies and to highlight the various career paths available to them as members of the WordPress Community. We only have 150 tickets set aside for the Austin WordPress community, so don’t delay. Go to http://wpbootcamp.com/austin/ to order you tickets for October 17th general sessions. We have put together a get program and will posting our speakers and session descriptions in a few days. Veterans always attend WP Boot Camp for Free. If you know a vet, please extend this opportunity to join our WordPress Community. I look forward to seeing you at this firstWPATX WP Boot Camp.